The summer has arrived spectacularly and let’s keep our fingers crossed that it lingers a little while. Last Sunday, I went to Momo in London to meet up with members of the London Blogger Group, and drank copious amounts of delicious mint tea. We had a really lovely afternoon and it was great to meet such very talented ladies and share blogging stories. A mentoring session with the wonderful Kerrie Dorman of The UK’s Affordable Mentors. I know that I need to take Flowerona to the next level revenue-wise and Kerrie helped me analyse potential revenue streams and set goals for fruition next year. 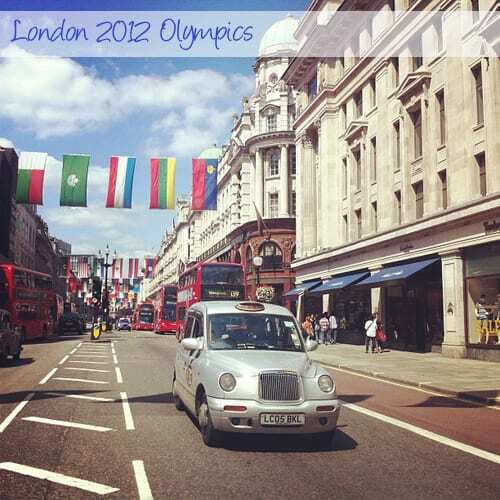 I came away from the meeting very inspired…and just need to do a little bit of work now to make everything happen! Started to compile my next guest blog post for the Laura Ashley blog, which involved taking photos of a neighbour’s stunning and very huge hydrangea bushes. Had lovely feedback from readers about Flowerona, which I really appreciate… especially when my wi-fi internet connection goes down and I’ve had to decamp to the kitchen table with my laptop…just a little frustrating. Over an hour on the phone to Virgin Media to try and solve the problem, but to no avail. So the upshot is that hopefully I’ll get a new SuperHub next week…and normal service will be resumed! 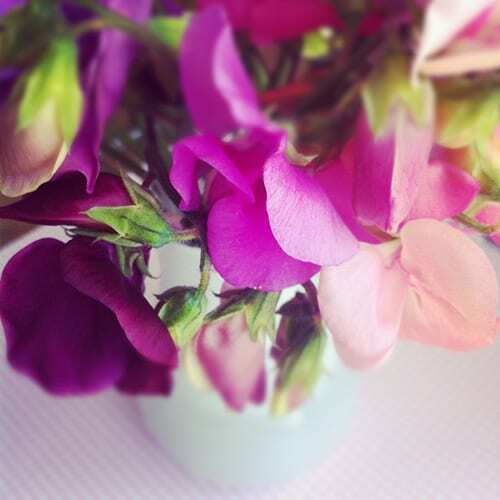 Visited Garsons Farm in Esher and picked these beautiful sweet peas. 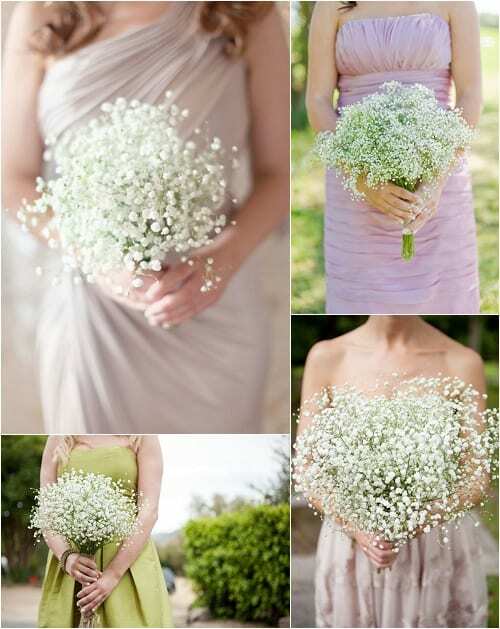 The most popular blog post this week was ‘Gypsophila aka Baby’s Breath is back in fashion, especially for wedding flowers’. 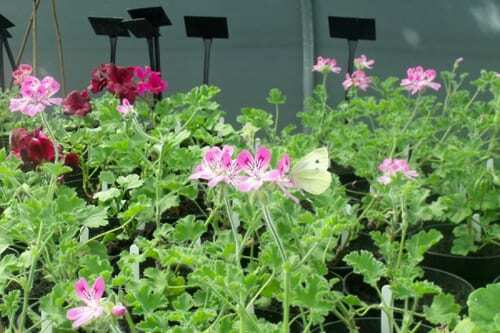 On the new Sarah Raven blog, Sapphire & Garlic, I featured my first monthly guest blog post ‘Pelargoniums…for an instant burst of colour this summer’. 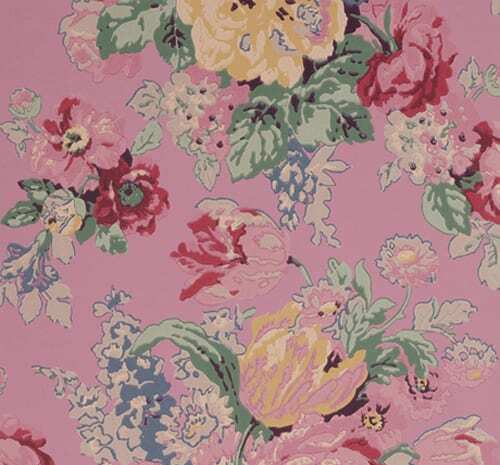 On the Heart Home blog, I featured ‘Beautiful Bouquet Wallpaper by Anna French’. So, I hope you have a lovely Saturday, whatever you’re up to. I’ll be back tomorrow with my new blog post series, ‘Pearls of Wisdom’.